Just like most of the brides, I thought I could handle everything myself at the very beginning. On our intensive two-day wedding, you and your team have definitely helped out so much and I can't imagine if those days without you all. Vicky is a wonderful wedding planner and has recently helped us in our daughter's wedding. She is creative, immensely helpful and patient, and highly meticulous in planning. We enjoyed the whole process. Our guests also had a great time at the ceremony and the banquet. Thanks Vicky and Issac! Honored to have you guys in our weddings! We are very grateful to Vicky and her team for planning Heidi and Martin's wedding. The planning was meticulous down to every detail with time lines for every item. Vicky was tremendously patient, helpful and pleasant, a real pleasure to work with. 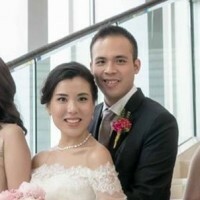 We would recommend Vicky to any couple who want to have a memorable, joyful, and successful wedding party. She is more than a wedding planner; she is now a friend of our family after the weddings our two daughters. 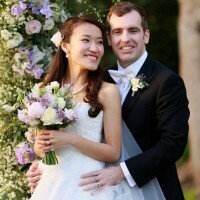 The Theme Wedding Design did a **fabulous** job planning for our wedding in Hong Kong last month. Because we are located in Tokyo, we have very limited time and access to meet and contact vendors. They were absolutely organized and helpful keeping us posted on updates and details. Not only that, they also went extra steps to plan our wedding by giving us suggestions, listening to our needs, and making sure it was the style we like. We are very happy with how our wedding turned out...love the band, lighting, etc. Highly recommend The Theme Wedding Design if you want to have a flawless, stress free, dream wedding of your own! I cannot say enough great things about The Theme Wedding Design. They are absolutely amazing! We were able to truly enjoy the big day and take it all in without a worry, and we owe much of that to them. We started working with them over a year in advance. From helping us find the perfect vendors to negotiating contracts, They had everything covered, and this is extremely important to us given we live in New York and this is basically a destination wedding for us. And we are especially impressed by their responsiveness given the time difference and their attention to detail and their knowledge about everything that's about to happen. But even though we planned so much ahead of time, the big day did not go without a hitch. Our biggest worry and it was totally out of control - the weather. It started raining right before the ceremony was about to begin! But to our rescue, they went way above and beyond what we could ever imagined! They were able to completely move the ceremony settings indoor with some changes to the decorations (and it looked just as beautiful as an outdoor setting), made a bunch of last minute changes on the "rundown" given the weather and coordinated with each party involved and most importantly all of our guests were properly taken care of. And these were all done within an hour! And the rest of our big day went extremely smoothly. In the end the wedding was perfect - our guests had a wonderful time, everything was smooth and seamless and fun and we absolutely loved every minute of it. Thanks again, The Theme Wedding Design, for letting us thoroughly enjoy our wedding day! Without you guys our wedding wouldn't be the magical and perfect day that it was. The Theme Wedding Design did a fantastic job for our wedding. The details of the ceremony and banquet that everything that we hoped for were well executed. We have received overwhelming compliments from family and friends. It was terrific event planning and smooth coordination. - By the end of the evening, we thought we need an army of bridal party to collect and pack all kind of materials like attires and props etc. that were left in various places but after we sent our guests off, everything was already packed in bags and boxes on a van. All we needed to do was to go and enjoy the after party. We were very happy with The Theme Wedding Design and they really delivered a beautiful and smooth event that we dreamed of and we felt very well taken care of before and on the day. Thanks so much to The Theme Wedding Design for bringing out the best of the ideas in our wedding. I cannot thank you more for your ideas and your advice in all the little details, they helped link up the whole wedding theme. Thanks for making my dream wedding come true. Before the big day, I could hardly really visualize the whole thing; I found it hard to put different pieces of wedding details and decoration together into one picture. But Vicky's words reassured me and her profession eased my worries and queries. On the big day, I put all the worries away and actually I got no time and no way to worry about anything, all I could do was to hand over everything to their team. Thanks for their excellent teamwork and coordination, the whole decoration and little arrangements were set perfectly. I was stunned when I could finally see 'the whole picture' right in front of me. My wedding dream came true and I felt like living in a fairy tale. I would like to give a heartfelt thanks to The Theme Wedding for bringing a wonderful start of our marriage; it would be definitely one of the most precious moments in our marriage. Thanks once again for being our wedding designer and wedding planner! We were looking for a wedding planner who would listen to our story and inspire us with unique ideas to make our wedding very personal and memorable for us and all our guests. Our search for the ideal planner ended as soon as we met The Theme Wedding. Vicky is an inspirational character who truly enjoys her role as a creative wedding theme designer and attentively helps couples create their own individualistic dream weddings. Behind Vicky is a very professional execution team who helped us with wedding planning down to the very minor details. On the day, we had nothing to stress about because everything was in the good hands of The Theme Wedding. It has been almost a week since our wedding and we are still getting rave reviews from our guests complimenting what a dream it was. For a moment in the afternoon the weather in Koh Samui was horrendous and Adam and I were understandably anxious and concerned. Thank you for being so patient, organized and efficient in making last minute changes to the ceremony and banquet rundown. You guys have been a terrific help to Adam and I, not only on our wedding day, but throughout the many, many months of intense wedding preparation. After all of the emails, calls, brainstorming sessions, meetings, you guys went above-and-beyond to ensure our big day was extra special. You guys are such a joy to work with and we cannot thank you enough for making everything come together seamlessly. In particular, we really appreciate you guys taking the time to get to know Adam and I individually. You are such a competent, patient, compassionate and hardworking wedding planner. Thank you for taking care of me (emotionally) and Adam (physically). Thank you so much for the perfect wedding while every aspect was well organized and totally beyond our expectation. Not only Garrick and I love the whole planning and decoration, we have many great feedbacks from our guests. Time flies, it has already been a week since our wedding. Thanks the team for helping us with the theme planning and co-ordination of our wedding. It was very heartwarming which was exactly what we wanted. From the theme design to planning to on-day coordination, Alvin and I enjoyed meeting with you guys very much. We received lots of compliments on this special theme after wedding. Appreciated on the effort you have put into creating and organizing this special day for us. Without your hard work and excellent organizational skills, it wouldn’t have gone so well. It's almost been a month since our wedding day, and both Carol and I would like to thank you for helping us throughout our 'hectic' preparation process. Honestly speaking, we were not planning on hiring a wedding planner because we just wanted a simple wedding. How hard could that be? While going through a wedding magazine, Carol came across a design that Vicky did for one of her clients and we decided it was something that we liked and arranged to meet with her. At the end of the 30-minute meeting, we decided to ask Vicky to design our wedding for us. As months passed by, we realized that the planning and preparation were beginning to be more and more difficult and luckily, the team did a great job in guiding us through, helping us cut costs where necessary, and essentially saved us from a lot of trouble and stress (and money!). With nearly the entire crew of groomsmen being overseas, The Theme Wedding also did an excellent job with the coordination the day of the wedding. Both of us were extremely pleased with how smoothly everything went down and it allowed for the entire wedding party to fully enjoy the day and the rest of the festivities. Thanks so much for helping us with the most special and important day of our lives. This is something that we will be forever appreciative and we will definitely recommend your service to our friends and family should the occasion ever arise. 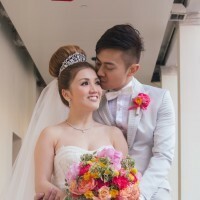 The Theme Wedding Design is our dream wedding planner in Hong Kong. No words can describe how lucky we feel to have engaged The Theme Wedding Design for the full coordination of our wedding from vendor negotiations & sourcing to the on-the-day coordination! Not to mention every bride and groom need some constant reminders to relax and enjoy our wedding – they totally went above and beyond the call of duty in treating us like friends rather than clients. The whole day was fantastic! Our families and friends have praised how perfect and wonderful our wedding day was. The decoration and food were wonderful, the team was always by our side and we did not have to think or worry about a single issue. We are definitely appreciated your passion and wedding design and planning. Everything went smooth on the wedding day under your professional arrangement. We enjoyed the day very much! Firstly, thank you for making a perfect day for us. Memories are priceless and there is no second chance for such an important day for the family and for Lina and me. At first, both of us had been wondering if a wedding planning service is needed but after working with the team for a few days, they managed to show us top-notch professionalism in and convinced us that the retention of your service is perhaps one of the most important elements, if not the most important elements in creating the perfect wedding. We have received nothing but positive comments from guests on the rundown of the day as well as all arrangements. The bridal party meeting was perfect and the having Issac accompanying the groomsmen team and having Vicky accompanying the bridal team on day with delegation and separation of duties from the best husband and wife dynamic duo made a huge difference. Issac and Vicky are extremely detail-oriented, patient and personable towards the 2 families and us. As everyone knows, it is almost impossible to keep all parties happy in a big wedding but they had managed to keep all family members happy ultimately and this is usually mission impossible. Without the help from the best couple team, our day would not be so perfect. Thank you very much for everything that your team and yourself had done for our wedding. I know that our wedding is kind of a hectic task for your team but you guys had done a fabulous job. Well done! I am really grateful that I had engaged you as my wedding planner. I should say this is one of the smartest decisions that I had made. 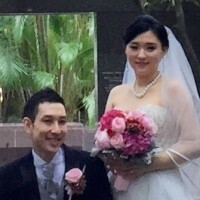 I am sure you and your team will become one of the best wedding planners in Hong Kong in a few years time! Keep up the good work and stay in touch! 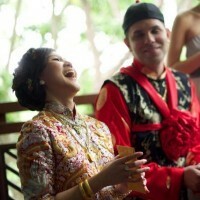 Thank you for all your hard work in making our wedding in Danang a success! Your team was so helpful and attentive to our needs and requests especially on the day of our wedding. I know that we were quite eager, demanding and exacting at times but both of you were very understanding and patient with us. They also gave us great ideas and advice on many things like the guest board, goodie bags ideas etc. We highly recommend The Theme Wedding Design. It has been four months since our wedding, and we still talk about how different our wedding experience would have been without The Theme Wedding. When we first met with them, we were slightly lost and did not know certain things had to be prepared. Not only did they give us ideas on how to make our wedding memorable and personalised, they also gave us the much needed confidence that they could manage our wedding professionally. The last thing any bride wants is stressing out over unexpected minor issues instead of enjoying her own event of a lifetime. During the planning process, we met with them regularly to plan the next steps and they sent us recaps and reminders for follow-up actions after the meeting. Vicky gives us valuable input on coordinating the designs of our logos, invitations, backdrop, gowns to create a cohesive theme in terms of colour and style. On the big day, they were instrumental to keeping us on schedule and making sure everything I needed was exactly at the right place at the right time. Everything went smoothly as planned and we both agree that hiring TTW was definitely one of the best decisions we made for our wedding. Heartfelt thanks to The Theme Wedding Design for helping us create our perfect wedding. The Theme Wedding did an amazing job for our wedding and we are very pleased with their work. Not only have they organized everything for us, they have also taken a step further in making sure that the design is perfect in every aspect - so well done. You guys have definitely performed beyond our expectations! Thanks so much for your help on our wedding day, your presence was definitely essential to us and we really appreciate your dedication and passion! Well done dear and keep in touch! We feel so lucky to get to know you and have you orchestrated our wedding. Thank you so much for everything you've done for our wedding. Without your help, I cannot imagine how it'll turn out. You are just awesome! Our wedding would not have been so smooth if did not have the professional work of you and your team. Thank you so much! We would like to say thank you very much on your contribution to our wedding, we feel satisfactory of your service provided. 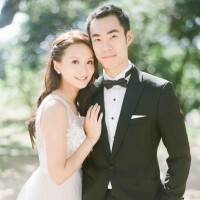 Edmond and I are really appreciated your professional attitude and advice on the selection of wedding gown, decoration, coordination and the overall control on both Hong Kong and Shenzhen wedding. It is also very impressive to us that Vicky maintained her helpful manner thorough the whole wedding even she was sick. Our parents and friends were also pleased with her help. We have been to two of the weddings managed by The Theme Wedding Design in the past 1.5 years, and were extremely impressed by their services, especially how well that they handled all the details and managed the whole rundown to be on schedule. Their works were way beyond our expectations on our wedding day as we realized that there were so much more details to be taken care of on the wedding day when it came to ourselves as the groom and the bride. They were so enthusiastic and sincere those made us feel so comfortable throughout the wedding, which took off a huge burden from us. We cannot thank them enough for what they have done for us; they did much more than they should as a wedding planner. 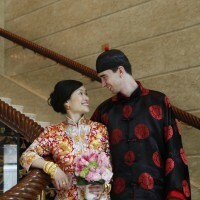 Thank you The Theme Wedding Design for helping us in preparing for our wedding in Hong Kong. We are particularly grateful for their on-the-day coordination service which made the day ran so very smoothly. Your recommendation on suppliers in particular the venue decoration vendor was excellent! And we thank you for coordinating with the photographer even when this is a task post the wedding event! We wish you all the best. 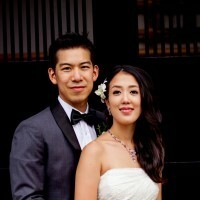 Thank you very much for your fantastic organizational skills on our wedding day in Hong Kong! It was nothing like I had imagined from a UK perspective, and seeing you both in action made me appreciate how much effort and experience goes into making such a complex event run smoothly. Your insight and dynamism on the day kept my worrying to a minimum, and I already have fond memories of this extraordinary experience. 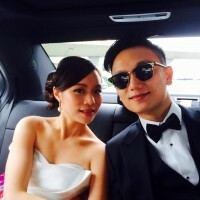 We are very grateful for your professionalism and hard work, without which we could not have prepared for our Hong Kong wedding from a distance. Thank you so much! You guys did a fantastic job and managed the wedding very well. Your team kept everything on track to make it so perfect. We love the wedding theme which was carried out very well. Truly unforgettable night in our life! Thanks so much for your effort spent throughout the whole wedding preparation process and on day coordination. It has been more than a month since we got married! Really want to say a big thank you to the team! Having you girls is one of the best choices I have made regarding my wedding. All my bridesmaids were very happy to have you here! (so that they have much less workload). Thank you so much for making our wedding so beautiful and memorable. Your diligence and attention to details made everything perfect. The release of the balloons was so special and joyous. A lot of our guests told us that the wedding was very special and memorable which is the best wedding they have attended! We appreciate all of the work from your team. A huge thank you to our amazing wedding designers! Our special day wouldn't be so smooth and stress free if we did not have you all. I couldn't imagine how it would be if without you! From creating the theme to making everything happen, your professionalism and attention to all details are outstanding! It was the best decision to have you for our wedding! You are the best! Really thanks for your help on our wedding. We are very happy to have your team along us! The best wedding planner ever... Without your help, our wedding won't be that smooth and well-organized! It meant a lot to us! Thanks Vicky for your thoughtful assistance and beauty advice which make me as the prettiest bride on my big day! Thanks so much for being our Wedding Designer! Thanks for everything… Everything is just so perfect! I cannot say how much I appreciate for all the work you have done for Zoe and I for the past year. You two were always there with us when we needed you the most, brought us hopes and solutions when we were in trouble. The best services ever, absolute worth every dollar spent! We wish your business continues to prosper in the New Year and keep bringing the happiness to all couples in the future. I would like to express my sincere thanks to your team for the professionalism in preparing for my dream wedding. All I can say is EXCELLENT JOB! Donald and I would like to express our gratitude to The Theme Wedding Design for creating our dream wedding. We met The Theme Weeding Design two years ago for the first time. When they showed us some of their previous wedding ideas, my mind told me that is exactly what I want for my wedding, and this is the wedding designer I want for no hesitation. Deciding to have them as our wedding designer was one of the best decisions we have made ever. (To be honest, I'm a very picky bride). They showed their professionalism on how they prepared, designed and organized our wedding. They are well-organized. After every meeting, we received all recap and reminders so that we did not miss any important steps and decisions we had to do. They also recommended great vendors to us and thank you for coordinating well with them! They were not only our wedding planners, but also our wedding designers! With Vicky's creativity, we had our unique and special wedding theme. She is so patient, caring and meticulous! We had nothing to worry about on our wedding day! Everything ran smoothly. We could truly enjoy every memorable moment! Our guests enjoyed the day very much and we got many great feedbacks from them. We are so grateful for having them throughout the wedding planning and on-the-day coordination. Our wedding would not be that perfect without their help. We really appreciate all their hard work and efforts! All fabulous memories will live forever in our hearts! Thanks a million for your help on our wedding and we had such a sweet and memorable one. You all are excellent, absolutely professional, efficient and organized. I cannot imagine if my wedding was without you all. I can feel your passion and care, treated us as friend not client. I miss you all and let's keep in touch. We want to take this opportunity to thanks again for all the help, services, efforts and heart you guys put into our wedding. It is really an unforgettable successful big day! We truly want to thanks all of you. We really love the day, so as our friends and families! We appreciate your work! Miss you guys! Thank you for the efforts from you and your team. Without you, we - as such a disorganized couple - would not be able to pull everything together. 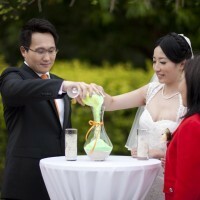 We will definitely engage you for other events, and refer you to our family and friends for wedding. Once again would like to thank you so much for your professional help on our wedding day! At first we did not think a wedding designer/planner could help our wedding since I enjoyed the planning process very much and I thought I could handle most of the stuffs. I have even planned most things and contacted most vendors by myself. Luckily, we have finally decided to find you! Without you and your team, our wedding day wouldn't be that smooth; Davin and I couldn't enjoy the day so much! With your team around, it was a total hassle free day. No matter for us, even for our bridesmaids and groomsmen, were all able to have fun and not to worry any single little thing. Everything was managed by your team in good order; schedule and timing were under control. You are the best! You know what the Bride wants! As spoke, I'd definitely recommend you to my to-be-married friends, and I'm sure we will meet again in my friends' wedding soon. Our wedding would not have gone smoothly without the team at The Theme Wedding. They were such great collaborators whose passion and knowledge reflects in the work they do. Their team's hard work and dedication to the project were exceptional. The ideas and solutions they gave us were never stuck inside a box and catered to our needs! We both very happy with their hands on approach made us feel like we were their only clients despite they were busy with multiple clients. Especially with all 'unusual arrangements' we request for, they are very willing to support and source the best solution to us. 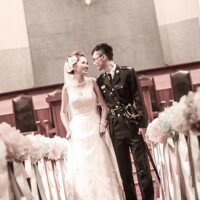 Thank you so much The Theme Wedding, you made our wedding day very special and memorable. We would like to say express our appreciation on a special day to you guys too! The Theme Wedding provided their expertise, insights and support throughout the entire wedding preparation. The team was professional, proactive and very resourceful, always providing timely reminders; action lists and follow up and engaging with all the partners, service providers and production houses to ensure a successful wedding. We were delighted with the result and would strongly recommend The Theme Wedding to future grooms and brides-to-be. Wedding was extremely joyful and happy that a lot of guests threw their thumb up on us! I am sure our guests did enjoy so much and had a great memorable evening. So pleased to have you to be our planner with brilliant idea and timely follow up during the past few months and arrangement on day. Watson and I can't be more thankful for the great effort of The Theme Wedding Design. Vicky is brilliant in helping us to tailor-made a splendid wedding theme and all our guests were amazed by the creativity and outcomes. Seriously, I really cannot imagine what will happen if I don't have the team on my wedding day. I was one of the most absent-minded brides and on my wedding day I really don't need to care or think about anything else because the team will handle literally all the things for us. Our wedding wouldn't have been so perfect without the help of my wonderful team from The Theme Wedding Design! I am such a careless and forgetful bride. Even there were so many last minute issues; you were able to resolve them all efficiently. It made our day went so smooth! All our bridesmaids, groomsmen and parents agreed you guys were of great help! I was able to relax and enjoy every moment without stress because Vicky was there to answer all the questions from anyone. Having you guys is definitely one of the smartest decisions I've made throughout the planning. Thank you! We would like to express our sincere gratitude and appreciation to The Theme Wedding Design for designing and organizing our prefect wedding. It was truly the best day of our lives and we loved every minute of it! We would like to thank you for continually working with us and helping us to create the personalized theme. It was an amazing day, and truly unforgettable memories. I was lucky to have the help of The Theme Wedding Design as our wedding planner throughout the whole planning process. The team was very helpful in every aspect. I remember I had a breakdown towards the last few months before the wedding; Vicky spent nights talking to and comforting me. She is more than a planner; she is a friend. I am very happy that we created my dream wedding together. Thank you so much for your great effort, I really can't imagine how the situation would be if without you and your team. From the pre-wedding planning till the wedding day arrangement, you and your team did a really great job and helped us a lot. All of our guests enjoyed the wedding so much and they were appreciated on the wedding theme design. Thank you for the arrangement and coordination. Hope to see you soon on the upcoming wedding. It's perfect to have The Theme Wedding Deisgn on our wedding planning since one and a half year ago. She designed our perfect wedding which definitely creates a unique memory to us. Issac has also presented his professionalism on being a MC of the night and one of the coordinators of the whole-day schedule. I truly believed they had devoted themselves so much on event planning that not only treated as their career but to have a heartfelt blessing to the brides and grooms by means of which is the same as their tagline - Create your Perfect Wedding. It is not only a service; friendship is also built among us. We sincerely thank you for the great day. Working with The Theme Wedding Design was a breeze. Engaging in their professional team to help us coordinate the big day, they went an extra mile by giving us all the useful tips and actually participated during planning stage. There are enough things for us to fret about, but the team is a reliable partner you can count on. Just like what they said in the very first meeting - the newly weds, bridesmaid and groomsmen, family members and friends were supposed to have fun and they would take care of the rest. We were so blessed to have met The Theme Wedding Design by chance and would like to thank for all the advice and support from them. 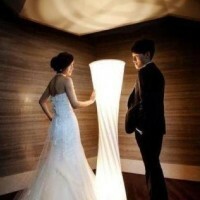 They are always responsive, helpful and made suggestions on every item in the wedding. With their help, we were able to relax and enjoy the planning process. We were impressed by their professionalism to ensure it was going smooth and nothing left for us to worry about. Our wedding was turn out beyond our expectations. A lot of guests told us that it was the most beautiful and cozy wedding they have ever attended. The Theme Wedding Design did a fabulous job and we highly recommend their services if you want to relax and see the joy and fun around you in your wedding. 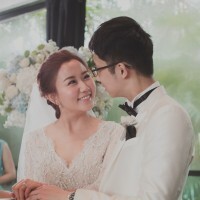 We first learned about The Theme Wedding Design because the team was highly recommended by our couple friend who did their wedding in Hong Kong, they were raving about how nice and helpful the team was. We are not from Hong Kong so my husband and I was not very familiar with the suppliers in Hong Kong. 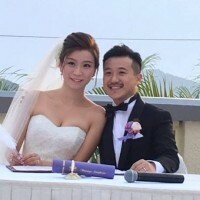 Being said that we did a destination wedding in Hong Kong thus most of our guest flew in from different countries, making the logistics of our wedding trickier than usual. The team helped us a lot, in arranging all the transportations for all our guests, airport pickups and transfer; transportation to and from the hotel to the church etc. Not only did they helped us search and coordinate with reasonable suppliers who are able to deliver well, they also reminded us as well as consolidating the required documents to the church constantly when we forgot given our absence in Hong Kong. They did a very good and detailed job on the rundown of the wedding day which was incredibly helpful for all the guests, entourage and for our families and emcee. Thanks for helping us to plan our wedding and making sure everything ran smoothly on our special day. We highly recommend them! A big thank you to Theme Wedding Design for preparing, planning, organizing and running our wedding. They are professional, helpful, friendly, patient and knowledgeable. The wedding would not have been so successful and trouble-free without them. I highly recommend them to my friends who are getting married. All the best team! Highly recommended to newly engaged couples for a stress-free wedding experience! Suffice it to say, we are all very satisfied with the theme wedding's work and we couldn't be more thankful for having them in our wedding! Having you guys to help co-ordinate our big day is the best decision we have made. Everything was planned out as expected, and we couldn’t be happier looking back at our big day exactly a week ago. Your attention to detail in the pre-planning process was tremendously helpful; from the punctual reminders to liaising with other vendors, your first-class professionalism gave us comfort and confidence in knowing the big day ahead will go smoothly for us. You have turned our supposedly rushed schedule (1-2 hours per location for 5 destinations in one day) to a manageable agenda for us. We even had our friends and family commenting how successful our wedding went. Thank you very much for your top-notch service and we highly recommend The Theme Wedding to any newly engaged couples looking for a carefree experience! Everything went very smoothly and on point. Jennifer and I were able to fully enjoy the big day and we couldn't have done it without you guys. Even my groomsmen and bridesmaid were saying good things about you. Big thanks to both of you for everything! It has been a year since our wedding coordinated by The Theme Wedding. I knew from the moment I got engaged there was absolutely no way I could plan my wedding alone from oversea, not to mention the need to involve wedding traditions from two cultures. With their help, we totally pulled it off with lots of positive comments from both local and overseas guests. Engaging The Theme Wedding is indeed one of the best decisions we have made for our wedding. They are everything I could have wanted in the wedding planner. Thanks very much! On behalf of my wife Angel & I, we would like to thank The Theme Wedding for their professionalism & excellent work on our big day. Without their assistance & dedication, we cannot imagine what the outcome would be. The team had proven themselves to be the top choice when it comes to event planning/management. Highly recommended to all bride-to-be if you wish to have a stress-free wedding planning process and of-course, on your wedding day! Thank you so much for the help and the hard work before and on our wedding last X’mas Eve! You guys made the party went on perfectly smooth and made me a very relaxed bride the entire day! Will definitely recommend to all the brides around me! There's really only one word to describe the team--AMAZING! Seriously, you are the best and made everything so much easier for Alex and I. You have been so helpful from the very beginning and we can't thank you enough. You go the extra mile and your assistance and expertise has made the experience less stressful for us. We truly think the wedding day was extraordinary, our guests have not stopped talking about it! Thank you again for all your hard work! The Theme Wedding truly stands out among the wedding planners in town with their sincere care for clients. The very first time me and my then fiancée Deborah met them (which was almost a year before our wedding), we knew right away it would be the beginning of a long happy, exciting working relationship. Their thoughtful recommendation about wedding venue immediately lifted the cloud above us. This was followed by a full year of meticulous planning and preparation, culminating on the wonderful day of August 27. Deborah and I both wanted to add a bit of creative touch to our wedding and the TTW team executed all of them to perfection. We are truly thankful for their help and wholeheartedly recommend them to any couple who wishes their dream wedding come true.